Want a compact machine with super-sized features? Step up to the tight-turning, heavy-lifting 244J Loader. This versatile machine combines best-in-class maneuverability, travel speed, breakout force, reach, and stability ­­­- letting it tackle tasks that other machines can't. Oscillating stereo steering delivers a smooth-turning radius that's 20 percent tighter than comparable loaders - for faster cycle times and less material spillage. 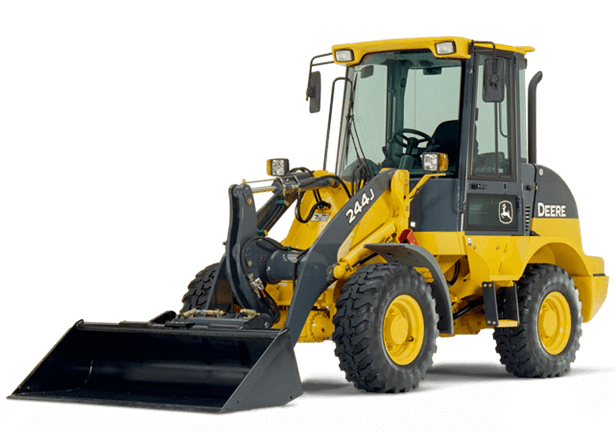 Add to that a spacious cab, virtually unrestricted visibility, and standard return-to-dig, and the 244J delivers big-time stability, performance, comfort, and convenience in a compact package.